I thought I'd share this find with you because it's one of the most inspiring decorating books I've come across in a long time - and I try to get my hands on as many as possible! The title of this book says it best..."I Brake for Yard Sales...and Flea Markets, Thrift Shops, Auctions, and the Occasional Dumpster". 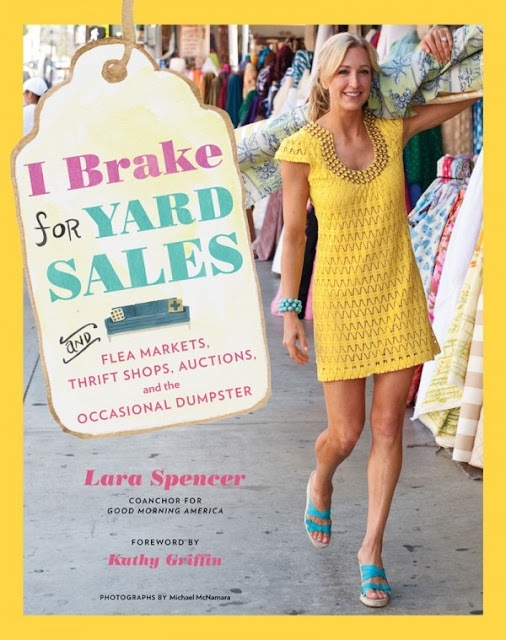 The author, Lara Spencer is a Good Morning America corespondent by day and a bargain hunting home-grown decorator for family and friends in her off-time. She truly seems to understand how important it is to be frugal. After all, most of us don't have the decorating budgets we'd like to have! In the book, she shares some fantastic tips on how to find the best stuff for the least amount of money, how to recycle, reinvent, and/or refurbish the items, and then how to decorate with them. 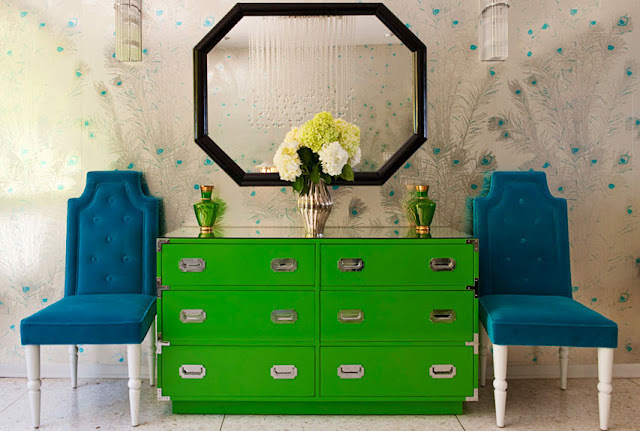 She does a fabulous job mixing furniture from different eras and blending multiple design styles. And, she doesn't stray from color (often by way of spray paint) - love it! Lara found these yellow lamps from Goodwill at $10 each. The lithographs above the sofa were $10 each at a garage sale. The sofa was only $160 at a thrift shop, but Lara had it reupholstered to match her room. Same story for the club chairs and coffee tables - all recycled and revived. 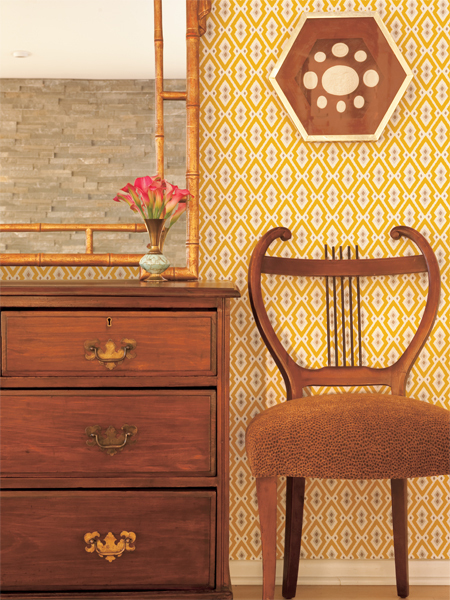 I totally adore this wallpaper but the real deals come in the pictured furniture. The mahogany chest was only $100 at a garage sale. The chair was $50 at a flea market. Art above chair - unique and only $20 from a thrift store. Hello Hollywood! This space is ultra glamorous and sophisticated. The campaign style dresser was only $40 - Lara had it repainted and covered the laminate top with a sheet of custom-cut mirrored glass. The octagonal mirror was a cool $22, and the hip green vases were only $2.50 a pop. Graphic art, purple hex wall paper, and splashes of pink - what an awesome kid's room! These vintage Murano glass lamps are a thrifty splurge at $550 for the pair, but compared to the $1,500 retail price they're quite the steal. Lara added some chrome tacks to headboard for some extra detail. 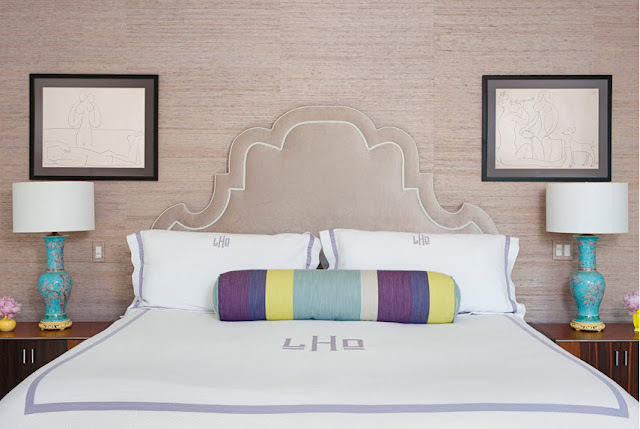 Affordable white sheets can be embroidered with a monogram, which will make them look ultra-rich. Lara did this house for a friend - and that friend owes her A LOT because the finished result is amazing! The convex "bubble mirror" is a major statement for a mere $250. The yellow chairs were purchased at a charity shop for $45 each, then recovered in hip yellow-green fabric. The fuchsia chair was $120, yet another steal. 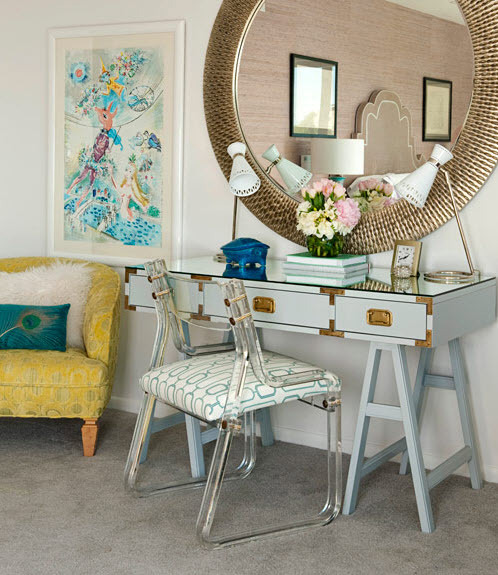 This bedroom vanity space is super thrifty. The desk was $40, the lucite chair only $75, and the chic club chair only $45. All items were lovingly refurbished to get to their current state of splendor. This picture has some spendy finds (the bedside tables were $270 each) and cheap finds (the lamps were only $60). However, the black and white framed prints in this space are the true diamonds in the rough - they're authentic, numbered Picasso lithographs, which were found at a Salvation Army for only $35! Check it! These chairs are recovered in laminated shower curtains - heavy duty, waterproof, kidproof, stainproof...and each curtain was only $11.99. 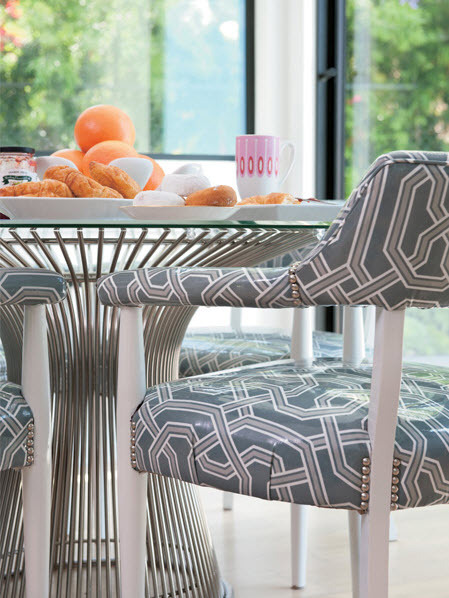 Add a few silver upholstery tacks to make them look even more current and cool. As you can see, Lara is Wonderwoman when it comes to finding amazing pieces at thrifty prices. 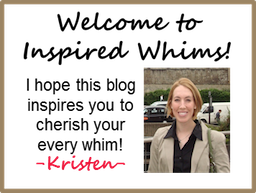 Her book is filled with stories of finds, a vast array of photos, and very practical tips. It includes pictures of both her homes - one in CA and one in Connecticut - which most of us could only dream of, but she always stays true to her thrifty core, filling them with finds on a dime. How do you find quality pieces? How do you know what is worth taking and what is worth passing up? Where do score all your thrifty finds? What's cheapest on the scale of thriftiness - thrift shops, garage sales, estate sales, flea markets, or auctions? And what can you expect at each venue? What key items should I look for? How do you haggle (appropriately)? What are your favorite online shopping resources? And then she shares some great examples of how she repurposed her myriad finds. There are some great before and afters! I could go on and on... Bottomline, you've got to check out this book if you love affordable decor with a story behind it. And, it's the perfect gift for any design nut friend or family member you may have. You can find the book for a steal itself at $15.99 on Amazon.com. Happy inspired decor reading, friends! I think I need this book just to drool. LOVE those pics. In these days when things are so pricey, we need to get creative!